Despite the heated controversy surrounding the cultural appropriation of locs on the runway at New York Fashion Week in 2016, you’ll be happy to know locs are back on the scene! 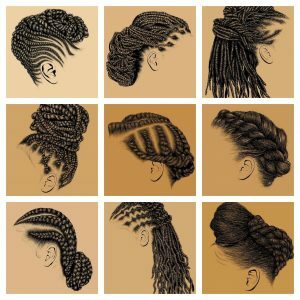 Locs have been spotted in styles ranging from naturally cultivated rope twists to Goddess Faux Locs and even avant-garde updos strutting down the runway. However, the representation of locs on the runway is still gravely understated— why is that? Locs on the Runway: Will It Become Mainstream? It is no secret that the versatility of locs is highly criticized and often misunderstood; so much so that locs are rarely showcased in conversations surrounding textured hair. In the early 2000s, an explosive movement of women accepting the beauty of their natural hair began, however the societal acceptance of locs continues to be slow-moving. Think about the last commercial or ad campaign you’ve seen featuring a woman (or man) with locs— I’ll wait. 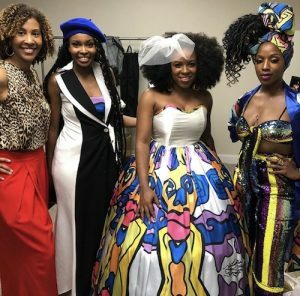 So to have a celebrity with real, naturally cultivated locs walk on the runway for a fashion designer like Jeremy Scott is making strides (pun-intended) in the right direction. RELATED ARTICLE: Is This A Degrading Natural Hair Ad? And thankfully, agencies with global influence such as NaturallyCurly, see the power in highlighting the beauty of textured hair. In their 4th annual Texture on the Runway event Naturally Curly partnered with 7 natural hair care brands. Even so, out of the 7 natural hair care brands, which exclusively market to women with textured hair might I add, how many do you think showcased locs in their show? A grand total of TWO. Shea Moisture and Cantu. 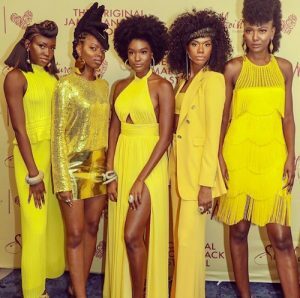 The SheaMoisture styling team, led by Natural Hair Master Pioneer Diane Bailey, presented a stunning array of natural beauty. The models were highlighted in yellow and strutting down the stage to the live sounds of a Reggae serenade by a brother with locs down to his knees! 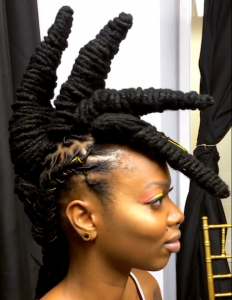 What really stood out to me about the Shea Moisture presentation on the runway was Keisha Charmaine, who’s avant-garde locs were adorned with gold thread in a spiky triangular updo! And the Cantu Team definitely gets an honorable mention because one of their gorgeous models wore Goddess Faux Locs for their showcase. 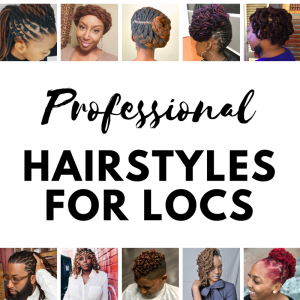 I know many people believe that locs are not professional or that locs cannot be versatile enough to give women hairstyling options, but just seeing these few highlights of locs on the runway should change your mind. Locs can be transformed, manipulated, and adorned in ways that not only mimic loose natural hair but also give inspiration for styling. After witnessing all the styles and beauty that can be achieved with locs, whether on the runway or off, it is safe to say that having representation of locs on the runway should become more mainstream and accepted. For that movement to happen it will require your voice and the natural hair care brands to include women with locs in their conversations, events, and campaigns surrounding what it truly means to embrace natural hair. 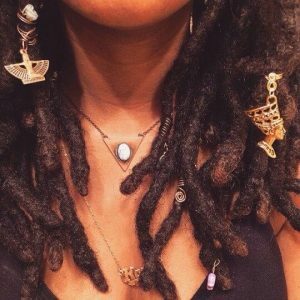 After all, locs are essentially the most natural state of textured hair— wouldn’t you agree?